SEO companies help other companies get their web sites onto the first page of search results from the major Internet search engines. The value of this has become increasingly more apparent with many more people turning to the Internet to find products and services that they need. The number of people using search engines is expected to rise close to 200 million by 2011 (eMarketer Data). That is close to two thirds of the population. How SEO can Affect Traffic to a Web Site. 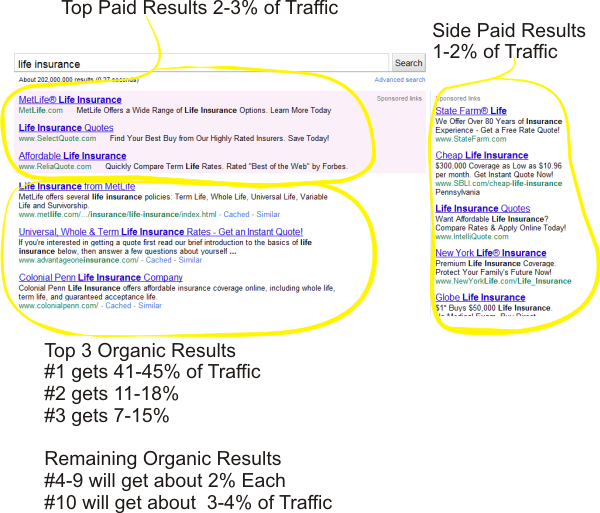 The tenth (and last listing in the organic results) will get 3-4% of the clicks. 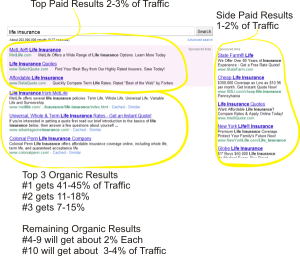 So even if you are dead last in the organic search results you will get more traffic than the best paying ad – and it is FREE. Keyword research to locate the best keywords to target for your web site. Competition analysis – finding out how well your competition is doing SEO and more importantly, how to beat them. Web page and web site optimization – ensuring that your web pages and web site structure are optimized for search engines to correctly identify what searches are appropriate for you site. Link building – getting your site noticed on the Internet so search engines will rank it high. 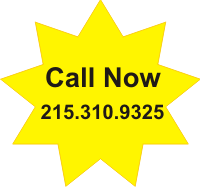 If you are in need of an SEO company or SEO services please call us now at 215-310-9325 or fill out our online SEO proposal request form.